On Rubidium, much acclaimed Finnish trumpeter Verneri Pohjola, familiar both from the Ilmiliekki Quartet and his current Verneri Pohjola Quartet, joins forces with Finland´s leading trio of improvisers, Black Motor, or Sami Sippola on saxophones, Ville Rauhala on double bass and Simo Laihonen on drums. 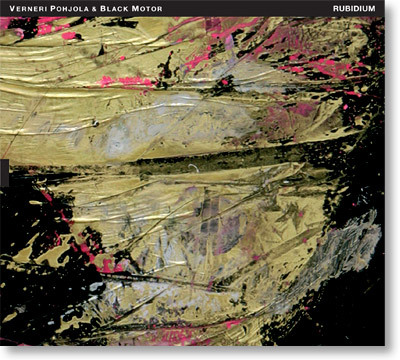 On this recording, Pohjola´s strong playing combines with Black Motor´s unified trio sound to create a lyrical yet always intense collaboration. Most of the compositions are by Verneri Pohjola or Ville Rauhala but also include one of late Edward Vesala´s most beautiful compositions, "Kynnyspuulla" or "On the Threshold", and even "Song of India" by Nikolai Rimsky-Korsakov.